F. Karl Grossman was not looking for a job in 1938 when three Cleveland musicians asked him to conduct a new symphony orchestra they were organizing. A well-established church musician and university professor, Grossman was dubious about the idea of an ensemble conceived to provide performing experience for players with professional aspirations.”I wanted to lie down under a tree, not conduct,” he told the Cleveland Press. After attending a rehearsal, however, he was so impressed with the quality of the group that he not only conducted its premiere performance but continued as music director for 25 years. “It is my first love,” he said of the ensemble, the Cleveland Philharmonic Orchestra. “The near-unanimous testimony of all who played under Dr. Grossman . . . is that he was well-nigh perfect for the job—musically demanding but humane,” wrote Robert Finn in his book, Symphonic Journey, Con Amore: A History of the Cleveland Philharmonic Orchestra. Born in Cleveland on August 16, 1886, Grossman began making music in early childhood when his uncle, a country fiddler, gave him a violin that cost $5. The talented boy started violin lessons at 11 and also learned to play the piano. He earned an undergraduate degree at Baldwin-Wallace College, played for shows at Cleveland’s Lyceum and Hippodrome theaters, spent a year as assistant concertmaster with the St. Paul (Minnesota) Symphony and then traveled to Berlin for advanced study in violin, piano and composition. During World War I, he directed an army band and served in France. In 1928, he returned to Paris to study composition with Nadia Boulanger and violin with C. Remy. But his heart was always in Cleveland. For 32 years Grossman directed the music program at Lakewood Methodist Church. There, he met his future wife, Helen Burket, a member of the choir. After launching his podium career with a touring opera troupe, Grossman co-founded the Cleveland Opera Company and conducted it for a decade. An esteemed music educator, he headed the music departments at Cleveland College and Western Reserve University. Besides teaching music history and appreciation, he conducted student orchestras and opera productions. 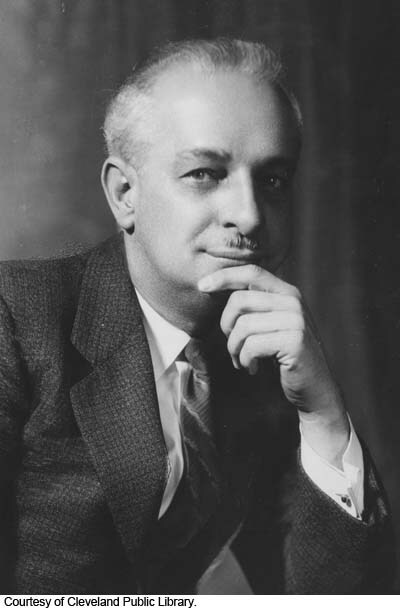 Praised by Plain Dealer music critic Herbert Elwell for “his industry, his integrity, his genial personality, his concern for students and sense of civil obligation, " Grossman made his Cleveland Orchestra podium debut unexpectedly in 1941 when music director Artur Rodzinski and his assistant, Rudolph Ringwall, came down with the flu. The all-Brahms concert that Grossman conducted after only one rehearsal won applause from the players and favorable reviews from local critics. 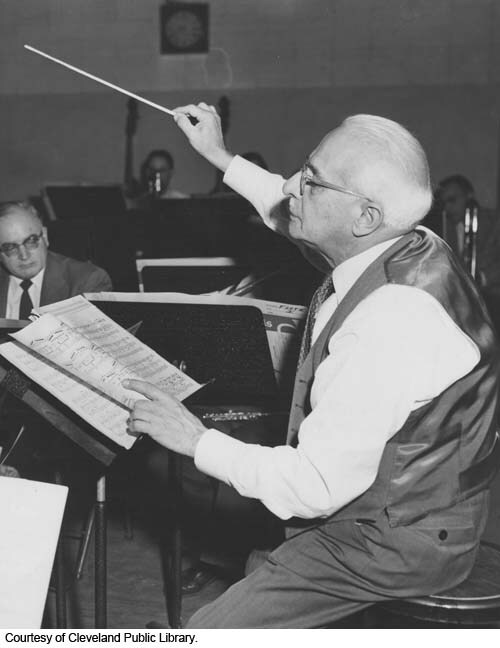 In 1952, Cleveland Orchestra music director George Szell attended a Cleveland Philharmonic concert and commended Grossman for his excellent work. “The performance of the Brahms Double Concerto showed clearly that the orchestra was trained by a most capable and experienced leader who wanted the right things and knew how to accomplish them,” he wrote in a personal letter. In 1961, Grossman received a grant from the Kulas Foundation to prepare a book on Cleveland’s musical history, one of his favorite subjects. Despite failing health, he worked diligently on the project until shortly before his death on May 14, 1969. Three years later, Case Western Reserve University published a severely truncated version of the book, A History of Music in Cleveland. In a foreword, Grossman’s friend and faculty colleague Edward G. Evans, Jr, lamented that the cut-to-the-bone text fails to convey the author’s wit, charm, enthusiasm and warmth. Nonetheless, he expressed gratitude to the author for providing an invaluable historical document about the hometown he loved, served and understood.